S M Ong: Don't be so goondu and republish the books already! Don't be so goondu and republish the books already! 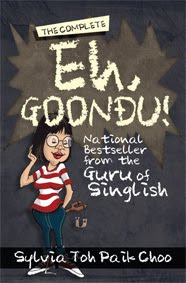 Launched a month ago, The Complete Eh Goondu is a reprint of two books, Eh Goondu and Lagi Goondu, in a single volume, written by my colleague at The New Paper, Sylvia Toh Paik Choo. The Complete Eh Goondu is now flying off the shelves (possibly because someone bumped into the bookcase – maybe Sylvia herself). I paid full price for the book, which is an outrage. Why? Because The Complete Eh Goondu wouldn’t exist if not for me. And for that, shouldn’t I at least get a discount? It all started back in mid-2009. Sylvia was buying me sardine puffs in the SPH News Centre canteen when she mentioned that a publisher had wanted to reprint her Goondu books. I was more excited by the news than she was. Sylvia wasn’t so keen because she felt publishing a book in this age of YouTube and Twitter just seemed so embarrassingly old-fashioned. I said, who cares? That was the book publisher’s problem. The books were already written, so it’s not like she had to do anything – except sit back and watch the royalties roll in. It was like free money! She should do it! Sylvia reluctantly agreed, but said she felt obliged to at least update the books for the new millennium. After all, they were over 20 years old. Sure, I said, that was a good idea. I was wrong. Fast forward to August last year. Once again, I was mooching off Sylvia in the SPH canteen. I mentioned seeing a Straits Times article about old local books, like Philip Jeyaretnam’s First Loves, being “re-issued”, which led me to ask her about the status of Goondu. Oh, she said she never got around to writing the update and decided to just let the project die. Alamak! How could she be so goondu?! I said forget about the update. The publisher never asked for the update. It was Sylvia who wanted it. 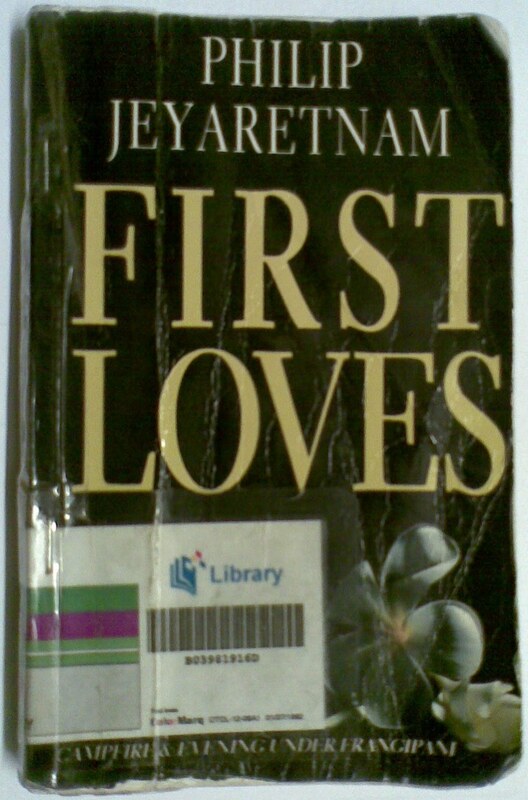 You think now big-time lawyer Jeyaretnam bothered to update First Loves? Ha! All those old local books were probably republished without updates. Why should Goondu be left out? To her credit, Sylvia immediately saw the wisdom of my words. She called the publisher, who was so happy to hear from her again that mere four months later, The Complete Eh Goondu was in the bookstores just in time for Christmas. And it was all thanks to me. Previously, one of the few places you could buy Eh Goondu was at Amazon.com where it was once listed for as much as US$77. So is it right for me to pay the full price of $19.99 (including GST) for a book that I made possible? Granted, Sylvia autographed my copy, but I’m not sure how much that’s worth on eBay. All I know is that she’s going to have to buy me many, many, many more sardine puffs.